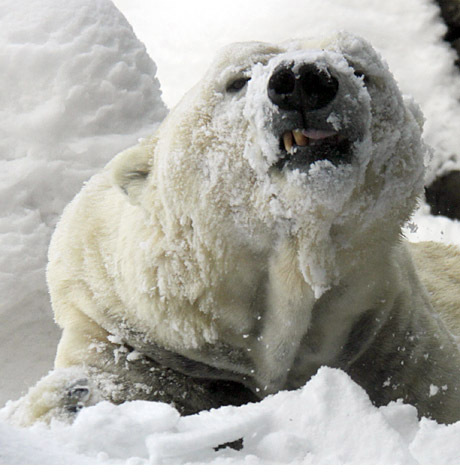 While baking in this awful summer heat I recalled that on December 27, 2010 we got hit with about 20 inches of snow at the Central Park Zoo. I thought these cool snowy shots from that day might help to lower the blistering heat a bit as we are now in a 100 degree oven in the Baked Apple. If you are looking to cool off a bit more, check out a few of last winter’s photo montages and videos. Let it snow! , Central Park Zoo Snow Days and lastly, Yes, More Snow. I do feel cooler looking at it! My coworkers at the spa in Trump International Hotel really like it too.